Well, the snow arrived as predicted. We’re not really used to coping with snow here. Other countries seem to be so much more organised, but here things lapse into chaos fairly quickly. With the snow at it’s heaviest I ventured out for a few photos. There’s absolutely no colour in the scene so I knew I was going to do something monochrome. A high contrast image seemed to be the best way to go. 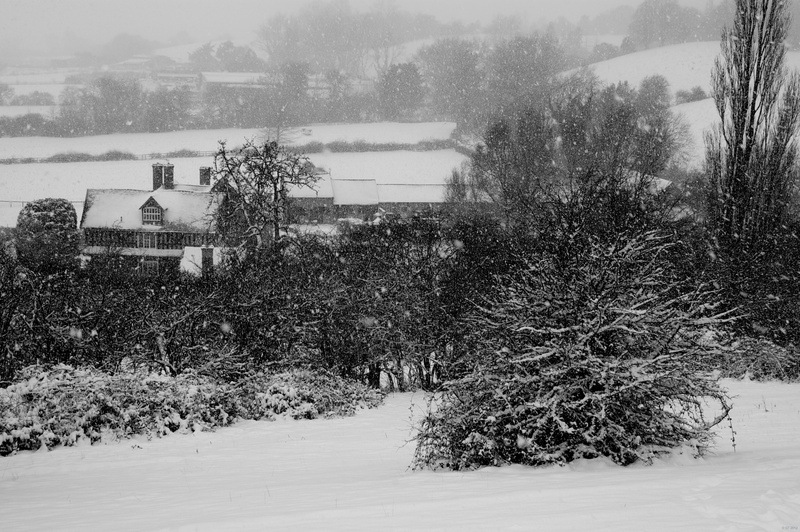 This is a Worcestershire farm looking like something out of an old 19th century photo album. This picture looks like the lead-in to a British TV Christmas drama :-). It’s beautiful.